Production of Maserati’s first SUV is being significantly reduced this year. That's not a good sign. Adding an SUV to your car line-up is usually a sure-fire way of increasing annual production and sales. . Unfortunately, this strategy has been backfiring badly for Maserati. Despite being a worthy alternative to its more established luxury SUV rivals that’s both capable and stylish, the Maserati Levante has been having an extremely rough time lately. In its first year of going on sale, Maserati’s debut SUV was that would have undoubtedly affected sales. Slow sales across the Maserati range led to production being halted until January this year. 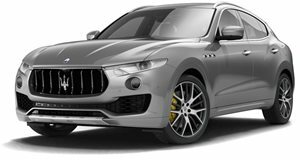 Sadly, the Levante’s sales don’t seem to be showing any signs of improving, because Maserati has significantly reduced production of the company’s first SUV for the next few months. According to , working hours for Maserati staff at the Mirafiori plant in Turin, Italy, have been cut until July. FCA primarily uses the factory to build the Maserati Levante SUV, but also builds the Alfa Romeo MiTo here. To avoid layoffs, staff will be working under new contracts in which all workers agree to work less hours. This will result in a 59 percent cut in working hours, or a loss of an equivalent of 2,080 jobs according to Automotive News. FCA has declined to comment on the situation. Back in 2014, CEO Sergio Marchionne promised to guarantee full employment at its Italian plants by the end of 2018 as part of its last five-year investment plant. However, the CEO has since told reporters at last month’s Detroit auto show that the company may need more time. FCA will be presenting its next strategy plan and investments through to 2022 in June. "Not only the promise of full employment by 2018 for the Italian plants has turned out to be ... illusory or even a bit mocking, but any new investment is unlikely to start by September, and maybe not even by the end of the year," said Federico Bellono, the FIOM union's regional secretary general in Turin. 2017 Maserati Levante First Look Review: Will The SUV Save Or Ruin Maserati? Wait, where have we heard this before?